Lately, I have been feeling a shift, where non-fans are occasionally stepping up to defend the Boys’ legitimacy, whether they like them or not, as well as casual observers venturing to compliment their new tunes or tone down their old reactionary hatred. I am not even sure where it is coming from! But it’s great. There are guys – if infrequent – singing their praises! On MTV! Where we can see their pictures!! Holy sh*t! you are right, JBs and Slipknot are both very talented bands, they both make music in their own way. pop vs metal…. there is no winner nor a loser b/c its comparing two different things to one another. but in my opinion, I think the JBs will be having a great run for the top when slipknots new album comes out. Thank you pinhead3d. 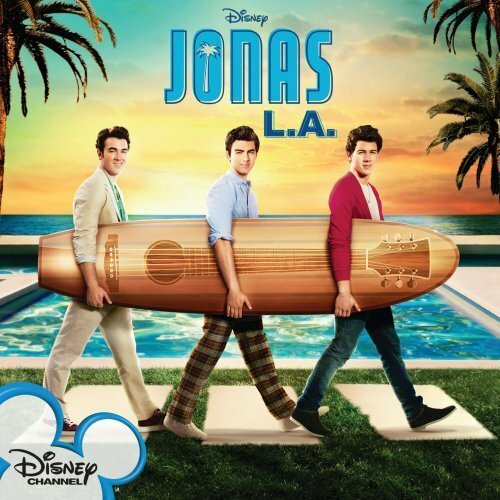 All us Jonas fans wanted was for you guys not to diss us or the band. I did say in the beginning that I liked slipknot, too…I just happen to like JB better. So, thanks for respecting both of the bands by not saying anything rude. And Slipknot fans…you are way sweeter than some others we have met. I found the show interesting, and think that it’s a good opportunity to show musical diversity to a varied audience. And if it’s truly about the music, then more power to Pete and Co.
And I agree the reaction of different fans was encouraging. Maybe the “Other People Exist, Dude” ethos IS spreading. I thougt JB’s song was great, natch. I felt this performance had much more energy and verve then, say, the American Idol one. And they showed their poise and engaging manners. All in all I was pleased. Any bets on what they will perform at the award show? Their energy WAS great! When they are given the right platform to express that, my personal feeling that it’s hard to resist them, or at least harder for most detractors to act like they don’t understand what the fuss is about. As for the awards show, their second (official radio+video) single will be debuting at the time, right? I feel like I read that that was going to be “Love Bug”. Which the Boys all unanimously agree, they think will be the fan favorite on A Little Bit Longer. That is my guess, though I kinda have no idea? They are full of surprises, lately! LOVE BUG??!!!!!! LOVE IT!!!!!!! I can’t wait for you ladies to see it. We’re counting down, aren’t we? Less than a week? How excited are you? And how happy will you be(post concert) to fully plug back into Jonasnews? 1. When I first encountered a JB live performance (Bonus Jonas Edition NYC concert) what sealed the deal of my fandom was the abandon, passion and joy with which they performed. They were so PRESENT with their audience! My question is what is it like to experience them in such a large venue? 2. Tell me all about their clothes! If you ladies would spend a few moments contemplating the above next Friday, it would mean the world to me. I’ll await your concert experience posts with bated breath. Since Mememoi is a devoted Joe-mama, I will personally take on the task of keeping my eye on Kevin. They just know how to do it. Live shows with them are just wall to wall love fests. We love them, they love us. It is very palpable and wonderful. That being said. This will be the closest we have ever been to them, so I hope I don’t faint. LOL. I’m so glad you noticed the problem with Joe’s mike! I was definitely bothered by it too. They were great! 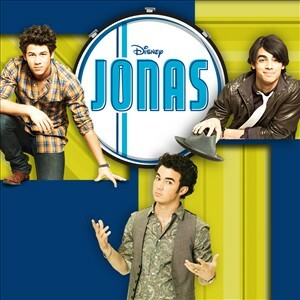 Burnin’ Up is such a great song. I was a little bit sad we couldn’t see Nick’s Burnin’ Up dance real well due to the camera angles and cutting back and forth to all the brothers. But I digress! I also was very excited to see older teens in the audience and cheering. Plus the show split up the JB into 3 segments and all the other acts got only 1 segment … so … obviously MTV realizes JB = ratings. It was cool to see new acts. I don’t always know (ok, rarely know) new music acts … so it was interesting for me. They seemed very comfortable with Pete Wentz. The show is strange for sure. And I am VERY excited and happy for them about the VMA awards. That is cool. Oh forgot something! A little criticism … I am not liking Kevin’s cowboy boots – it’s the color I think. I like the brushed out curls (larger) in the front that he is sporting but I wish whoever styled it had been more consistent with it. It’s a good look for him. I agree about Kevin’s boots. They need to be darker. Or maybe his jeans need to not be so tight. . .what am I saying? Keep the jeans, darken the boots! Re the hair, I wonder if sometimes humidity levels play havoc with his curls? I have curly hair myself, and my hair changes day to day But of course, in the end he’s still adorable. Hey, we’re curly girls as well (like, uber mega). flamom – I have got to agree about seeing the older teens, including a few guys, getting caught up in the moment. Our show next week is indeed at a massive stadium (Hersheypark )…because we will be so close I’ll be abandoning the childfan at home “for safety reasons”, haha – she gets to see them later in the summer. But I am always reminded of how I am still kicking myself for not seeing any of their free shows nearby last year (first saw them in-store in December)…I was still balking at them in the summer, but I was devoted enough to watch the live videos from the “Marvelous Party Tour” every night on YouTube for the entire thing. LOL. Those are still my favorites. They were laidback, they were just starting to really NAIL it (ie. “Still In Love With You” ) and you could see how excited it made them. Here are some of those clips in this post after the jump, you have probably seen ’em. Also, the small show size, etc., allowed them to be less regimented and I loved the way they would goof and banter (and backflip), rap and invite people onstage. It was cuter every time: Mama J, a little girl, a grandma, the Savannah Prom Queen, a handicapped boy who bearhugged Joe and wouldn’t give him back his tambourine. Oh man, it was some good times. LOL. I miss their ability to do that a bit, and hope they might get back to that in the future. But for now, it is just exhilirating to see them stretch their wings but still make sure to still be our Boys. The Savannah Prom Queen is a classic! Watching those State Fair vids with all the audience interaction brings back a lot a memories for me. Back in the day I did cabaret theatre, and was in singing groups that played fairs and the like. Audience participation is part and parcel of that kind of performing, and it is a very mixed bag. JB handles it all so beautifully, like the pros they are. I actually had not seen the particular videos in your post, though I have seen others from summer 2007–including Uncle Josh proposing onstage, remember that? 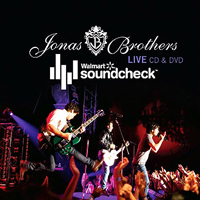 Still in Love With You is probably my favorite song on the Jonas Brothers CD and I got chills the first time I saw it on the DVD. This video is great, thanks for hooking me up. OMG the Savannah Prom Queen KILLS me. Did you also see her non-apology video? SILWY is my favorite, too; and that performance just DID it for me. I felt like I finally GOT them. I am glad you liked it. So you did cabaret? That is amazing!! What’s your favorite songwriter/music to perform? Funny story about the Prom Queen. I actually saw the apology video BEFORE I saw the song!! Imagine my burning curiosity to know what she had done?? I did almost every old standard–if you can name it from the 40’s or 50’s I probably sang it. Personal faves are Cole Porter, Rogers & Hart and Stephen Sondheim. I think my theatre background has added to my appreciation of JB–they are such showmen–I thought that even before I learned of Nick’s and Joe’s B-way chops. But after learning about that, all their stage presence and ability to connect with the audience made sense. Opening yourself up enough to reach across footlights to an audience is great training. That is awesome, your music and everything. The funniest thing is that I saw the apology first TOO! Hilarious. That’s GREAT! I sometimes wonder how many of us there are–burgeoning Jonas fans piecing together their career from You Tube. Half-ashamed/embarrassed at becoming passionate about teen-age boys, but unable to stop yourself because their music is so damn good! 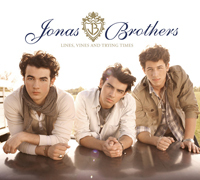 And finally giving in, saying WTF, I’m a Jonas Brothers fan and proud of it! So spill, was it you or cpaig who succumbed first? 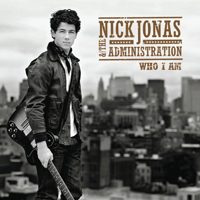 Who led who down the path to Jonas love? I’m just glad you ladies started this blog, so that we all have a place to hang out! But I was a fast learner – and she kept on sending me vids. Still, I think I am the more shameless of fans than she – esp at concerts – unfortunately for her – LOL. Mememoi may disagree with that. I think it is so awesome you have performed and have done singing. I was in chorus in middle school. We weren’t very good. LOL. Then I was in a band for a while…a marching band. I played clarinet. We were awesome. Marching band rocks. I was never an instrumentalist, other than a little (very little) piano – enough to warm up and plunk out the melody of a song for learning purposes. So how shameless is your concert behavior? Are we talking screaming? Attempts at touching? Underwear tossing? Now I’m REALLY excited to hear about next Friday’s show! Yeah, it was me. And I was all alone at it for like 6 months!!!!! But I had the advantage of watching Disney with my lil one. I have to admit the kid liked them first, and talked about them all the time and I totally shunned them. That was until Hold On premiered and I got a lil hooked by Joe’s screen presence. I googled them to see if they were the spoiled Hollywood-type kids I supposed and when they turned out to be more interesting to me I became really fascinated. I was glad when Cpaig finally bought their album a week after it was released to…what were your words, “mock me from a place of knowledge”? Harhar. It was history after that, she was GONE, and I had a list of vids with which to educate her quickly. And yeah, you are probably a little more crazy than me, Cpaig. But that is quite relative. Oh we’ve never been close enough to touch them…or would, RIGHT, CPAIG?! LOL. We’ll see if we’re close to the outcroppings this time. Our main difference is that I tend to be anti-Meet and Greet (I find them depressing in concept), while she is totally pro. I scream, I dance, I sing – no grabbing, no touching, no throwing of undergarments. I just let my hair down, literally, and get lost in the fun of it. But considering how close we may be – it could be an entirely different. LOL. I hope not. If I were on stage I wouldn’t want someone grabbing at me, so I will keep my hands to myself. And – I also did my own home study on the Boys after my conversion. At one point Mememoi was totally impressed by the depth I had trolled YouTube in a short time. But she totally introduced me to all of the classics. I think that is why I like to get the scoop on her sometimes. LOL. JK – kinda. mememoi, I’m laughing so hard right now I can’t stand it. Your story could by my story. My (then) 7 year old daughter fell in love with the Year 3000 vid and would get excited every time anything about the Boys was on. What got me intrigued was the Bonus Jonas interviews (He’s so extreeeeeme) and especially the one about the fans (Kevin’s response to someone making them a book with 85 reasons to love JB was so cute!) And because I like to know who my kids listen to I started checking their music out. Once I saw the DVD, there was no turning back. But believe it or not, that was all I had of them until this April. For financial reasons (my husband runs a theatre co. and I stay-at-home) we were internet-less until then. But my wonderful brother gave the girls a birthday gift of a new computer, and so we could become hooked into the popular culture once again. I had been watching the DVD, wearing out my tapes of them on Dancing With The Stars, and playing the CD until then. So all the riches of the recent weeks is heaven to me. More video than I know what to do with, them cropping up everywhere, and groovy blogs to chat with like-minded fans. My cup runneth over! cpaig, I know what you mean about touching. As a performer it IS unnerving. And I have never in a million years had ANYTHING like what the guys contend with. But I’ll bet you’ll be screaming your head off Friday. How could you not? 13th row? How will you stand the wonderfulness of it? I know, it’s so nice we all get to share…when we first started channeling our fandom with the blog, I was becoming unsure about my conviction that we couldn’t be the only adults who were genuinely fans (if there is anything I learned from watching Oprah after school growing up, it’s that if you think and feel something, there’s gonna be at least a few thousand other people who feel it too). I really would shrivel up without my internets, I hate to admit…thanks to economic squeezing, it was an easy decision for me to give up cable first.